New Year’s Eve is less than two days away, and although your party plans may not be Facebook official, there’s one thing you know you will need along with a chilled beverage and somebody to kiss when the clock strikes midnight- a fabulous dress that won’t break the bank & will have you looking like a million bucks. New Year’s Eve buzz has always reminded us to seek out shiny and sparkly things — blame the bubbly, the Times Square Ball, the confetti, or the fact that it’s the biggest nightlife event of the year. 2012 should definitely be no different. If you’re looking to add an eye-catching frock to your closet this December 31st, we’ve got you covered with gorgeous merchandise from all of your favorite brands including BB Dakota, our go-to-gal for all event attire. Even if the temperature drops on NYE, you’ll still heat things up in these great dresses from Glik’s! Don’t worry, if short skirts & dresses aren’t your thing, we have several other showstopping options. 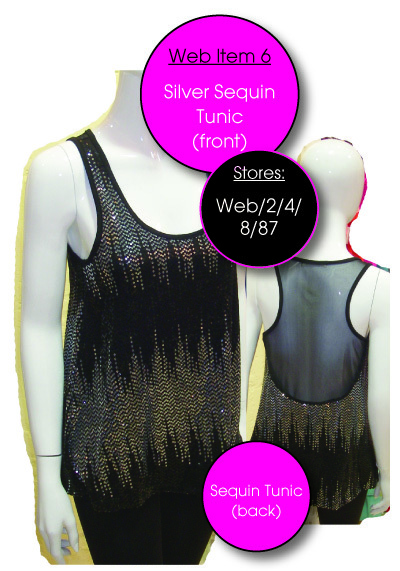 A sequin tank top with super skinny jeans and a pair of pumps will fit right in at any shin-dig. Adding a statement piece such as a bold clutch or chunky bracelets are a great way to complete this look. HOT TO WEAR: Jacquard Leggings, Lace Shorts Edition, Crop Tops, and Sequin Leggings! 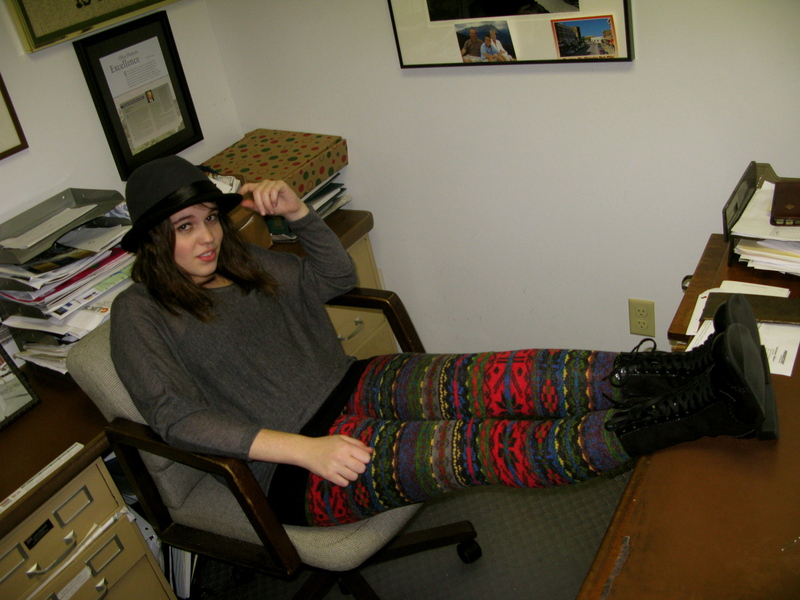 A few hot items that we just got in from LA are fabulous… but are a little difficult to style. Don’t worry! In this How to Wear I will explain a few cute ways to rock these LA styles. First up! 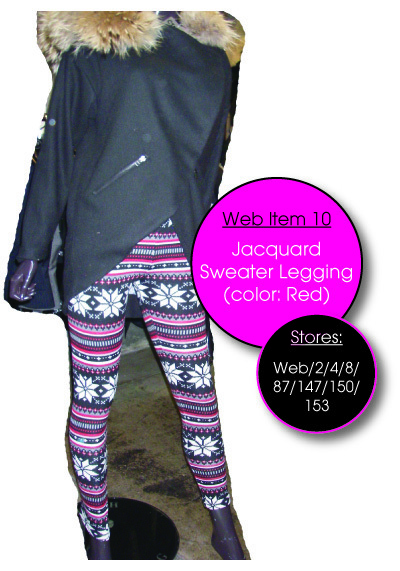 The Jacquard legging, also known as the Navajo legging. These pants are not only warm, but also quite a statement! 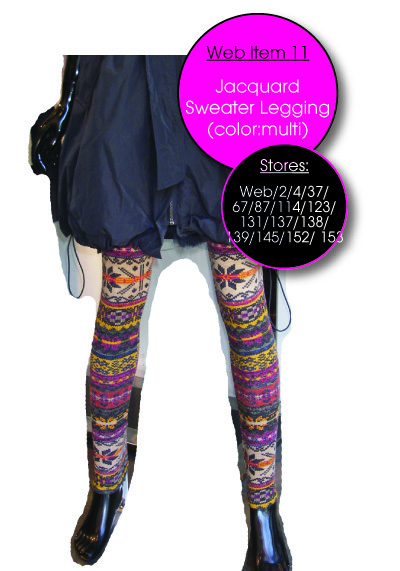 They are not to be confused with house pants or PJ’s; these are a fabulous substitute for your boring black leggings. However, they are a little more complicated to wear then plain leggings. They definitely have to be worn with a solid color, and I think a loose top looks best. These are perfect to tuck into combat boots, Ugg boots, and over the knee boots. If you have the courage they would look awesome with heels and a big loose top for a night out. 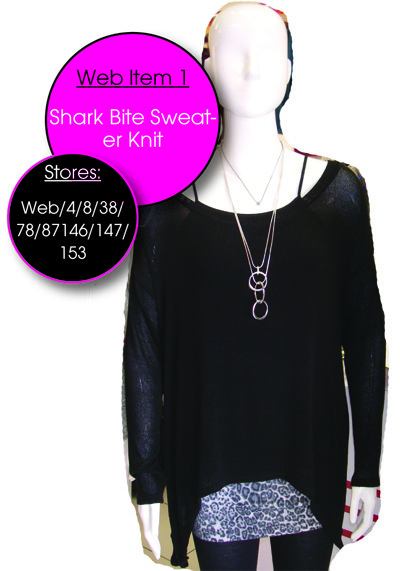 I wore them with a black tank, loose grey dolman ‘Shark bite’ TOP, and combat boots. Next are the lace shorts that were spotted on the legs of style icon Blake Lively and E News host, Giulana Rancic. Theirs were both Marchesa, with a price tag of over $1,000! But as always, at Glik’s we have the look for less. 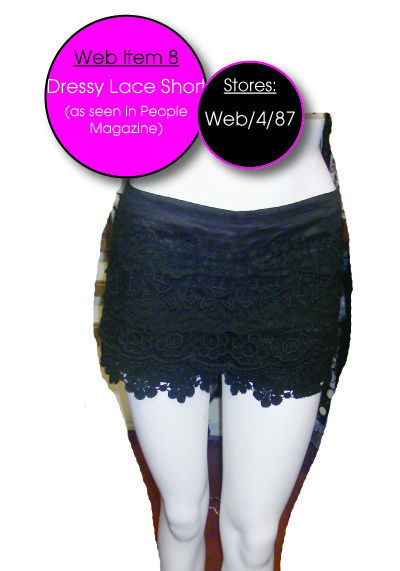 These black lace shorts look perfect with a white button down, black blazer, tights, and pumps. For a tougher, less professional look you could pair these with a band tee, leather jacket and combat boots. These shorts are totally fabulous no matter how you wear them. Crop tops are tricky little guys. Unless you are doing an 80’s work out routine, you MUST wear a tank top under them. 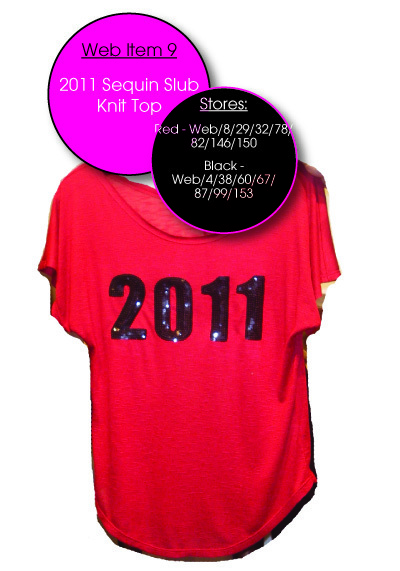 Shown here we paired our crop top with a black tank top and jeans. 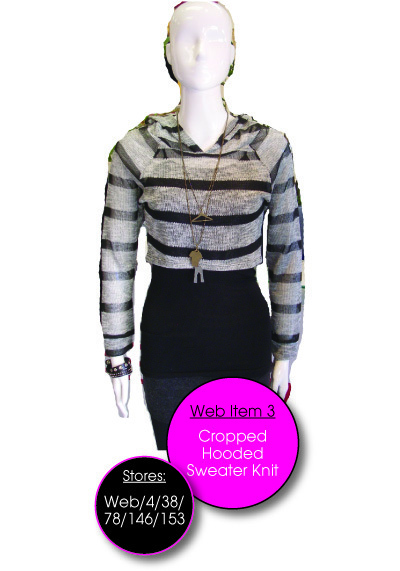 You could also wear it over a tight black mini dress for some layering, or a black high waisted skirt. Crop tops are a great thing to throw on to add a little sass to a plain outfit. As I have said a million times before but SEQUINS ARE HOT! Another way to wear sequins (we’ve had tops and dresses already) is on leggings! These black sequin leggings are totally sparkly and fabulous… Lady Gaga style! 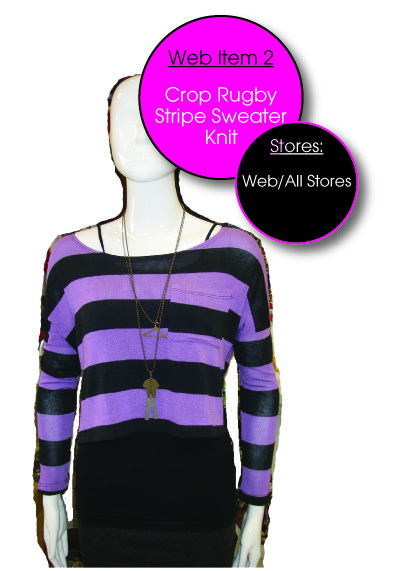 For a casual look, wear with an oversized tee and combat boots. For a nighttime one, a loose t-shirt, blazer and pumps would be totally chic. Well that’s everything! I hope that these suggestions help you figure out how to wear these fabulous items. You can find them online www.gliks.com or in select Glik’s stores.